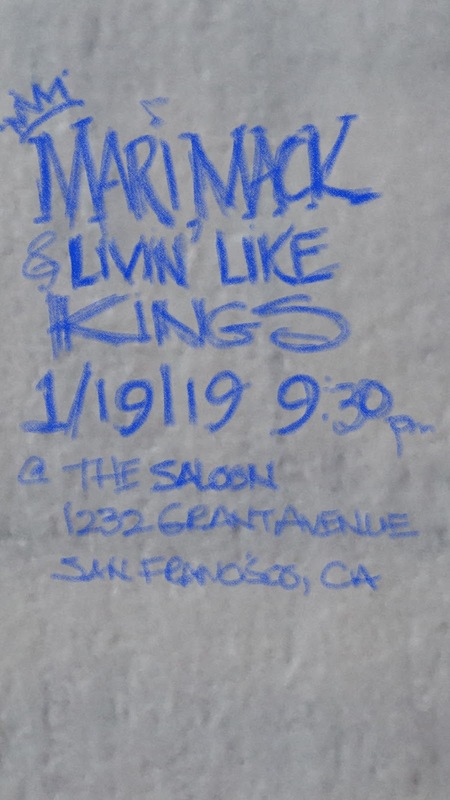 Reminder that we have a show, a gig, a musical performance on January 19th in San Francisco at the world famous Saloon in North Beach! 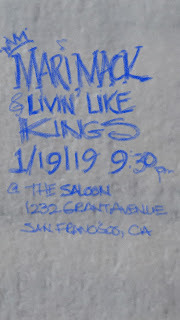 This will be my last live performance for a while, as I am headed to see my mom for a few weeks. My sister needs some help and I can't really concentrate knowing I am so far away during this challenging time. Life is precious and oh so short. Stay close to your loved ones, and if you don't have any loved ones, love yourself and keep sending love out into the universe. It comes back, sometimes from the most unexpected places and people.